June 21, 2010 - After an extended period of discussions, EAA and the National Association of Flight Instructors (NAFI) board of directors have agreed that NAFI will become a fully independent organization no later than March 1, 2011. 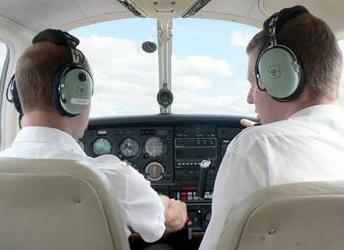 The National Association of Flight Instructors is the United States professional organization for flight instructors. Founded in 1967, NAFI is dedicated exclusively to "raising and maintaining the professional standing of the flight instructor in the aviation community". In 1995 it became an affiliate of the Experimental Aircraft Association (EAA). NAFI is governed by a board of directors composed of eleven members. The organization works with other groups such as AOPA, EAA, and the Federal Aviation Administration. In 1997, NAFI completed development of its prestigious Master CFI, program. In 2008, Jason Blair became the organization?s Executive Director. NAFI is headquartered in Oshkosh, Wisconsin, home of the EAA's AirVenture annual airshow and convention. The first person designated by NAFI as a Master CFI was Greg Brown, a well known flight instructor, aviation author, and AOPA Pilot magazine editor. Since then, NAFI has expanded the program to include ground instructors as well as flight instructors. In June, 2009, an updated version of the program was approved by the FAA. Master instructor accreditation is valid for two years. "We endorse NAFI's decision to position itself as an independent professional association for the flight instructor community," said Tom Poberezny, EAA chairman and president. "Meanwhile, EAA will continue its focus on events and initiatives aimed at growing participation across the whole aviation community, such as the recent International Learn to Fly Day, expanded flight instruction opportunities for youth, and the Learn to Fly Discovery Center at EAA AirVenture Oshkosh." "With a cleaner operating structure, and each organization focused on its core strength, EAA looks forward to working with NAFI on projects that benefit all of aviation." This move ends a formal affiliation that has existed between EAA and NAFI since 1995, under which the two organizations have shared administrative functions, office space and other resources. Work will take place over the coming months to ensure an orderly transition for the flight instructor organization. "NAFI has become a much stronger organization over the past 15 years, which included doubling the number of members, creating an executive director position, establishing the Master Instructor Program and many other achievements," said Poberezny. "We truly appreciate all that EAA has done for NAFI and pledge to work hard to work with EAA to serve our mutual interests, which are many," said Ken Hoffman, NAFI board chairman. "The focus of NAFI will be to continue to work for the benefit of the professional flight instructor and other teachers of flight." With this decision, the transition process will begin immediately. Additional information regarding the transition will be released in the near future.